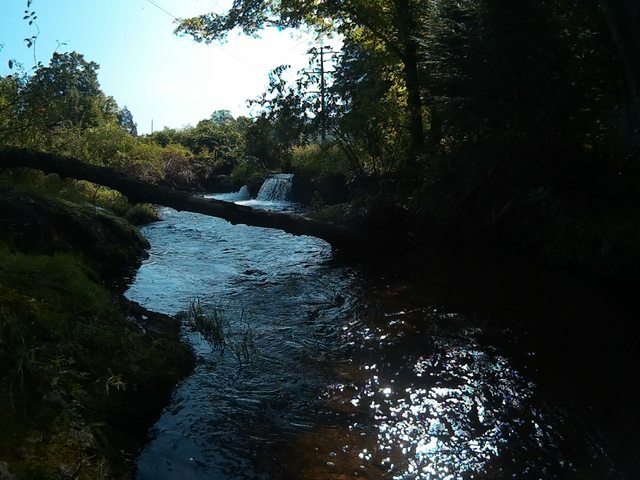 Went out again on Sunday looking for some NJ wild trout. 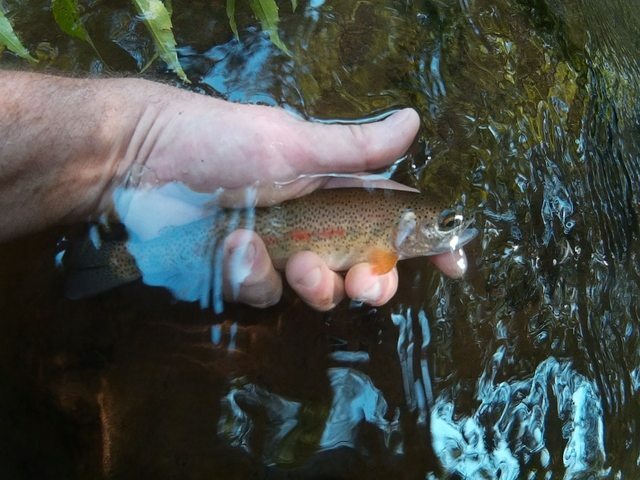 Water temp was a cool 62, crystal clear and a great flow. 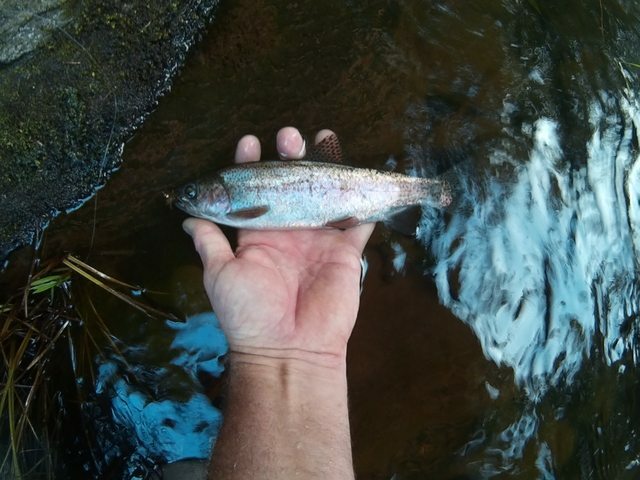 Managed to land 7 rainbows and only 1 nice size brookie. 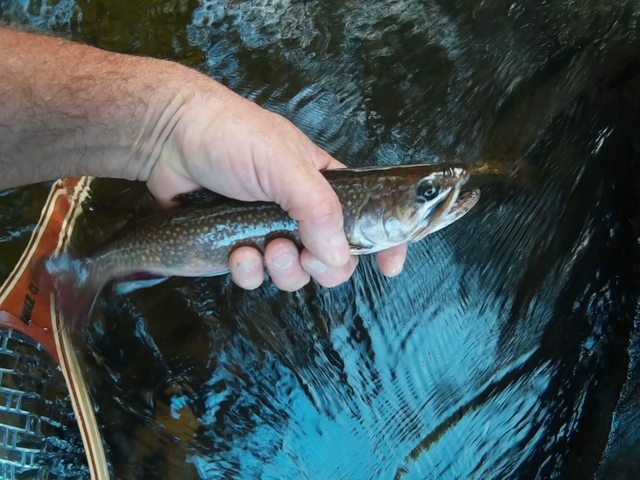 Can't believe I didn't get into any browns since according to the state the section of the river I was fishing is listed as a "WILD BROWN TROUT ENHANCEMENT STREAM (Brown Trout dominant, other wild trout species may be present)"
That brookie is the largest I have caught in NJ. It came out form an undercut bank grabbed the fly and headed right bank under the bank. I wasn't sure if I was going to get it out with the 6x tippet I was using. it is a nice one. 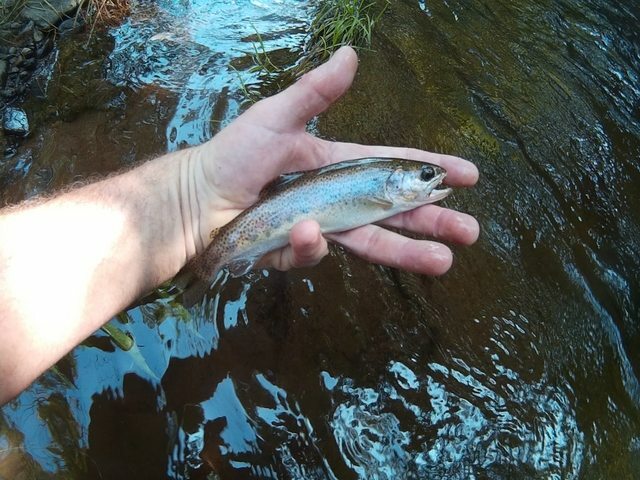 Biggest native I have gotten was a 13 incher out of Bear Creek back when it still a WTS.